On your first visit, we’ll do everything we can to begin getting you the relief and wellness so many have found with chiropractic care. 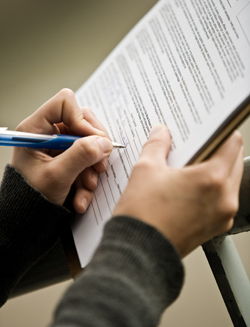 First, you’ll need to fill some brief paper work that will help us understand you and your condition better. Next, the doctor will take you back and discuss your particular health issues with you, asking specific questions designed to help narrow down the history and cause of your symptoms. Then, depending on your condition, x-rays may be needed. Though not always necessary, when taken, x-rays offer a “blueprint” of your spine…showing us specifically where and how your body has had to adapt to uncorrected spinal stresses(subluxations). Finally, when patients are in severe pain, some type of therapy to help alleviate the symptoms may be recommended. The patient is usually sent home with some “do’s and don’ts,” and scheduled for the their next visit.